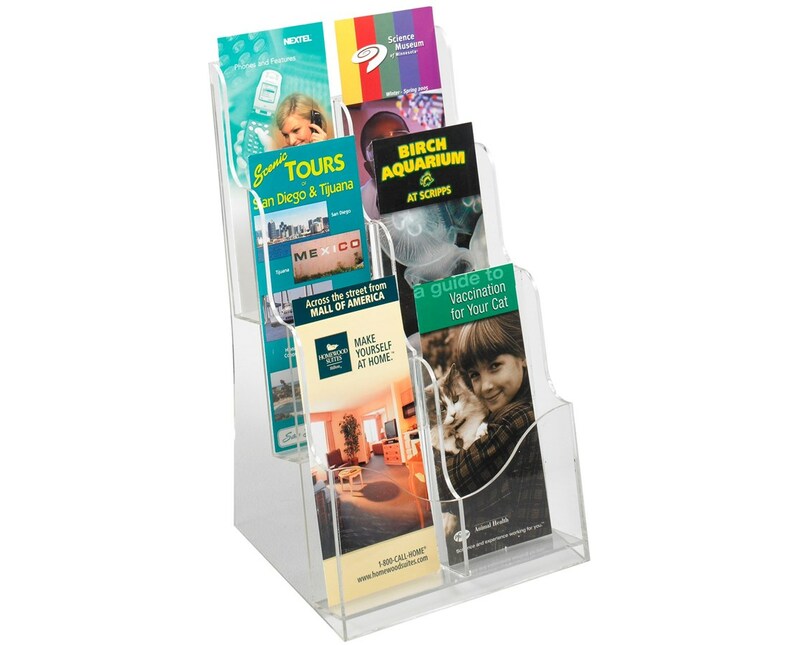 The Safco Acrylic 3-Pocket Magazine Display is a clear printed material organizer that gives a stylish look to any desk. It features three layers of compartments that are nine inches wide and can hold up to two inches thick of printed materials. 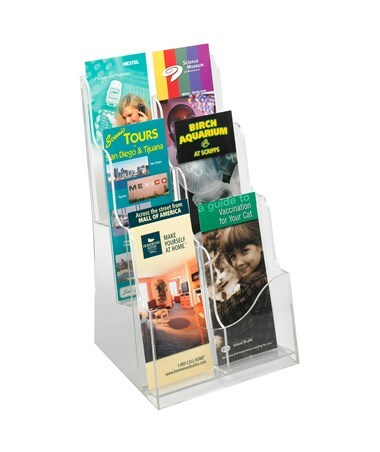 A divider can be used to cut the space convert the pockets to fit pamphlets. The display’s clear body makes the contents visible and easy to recognize. It is made of acrylic and is GREENGUARD certified for low chemical emissions, which means it is safe for indoor use.